At Budget Choice Heating & Cooling, our goal is to ensure your family’s comfort throughout the year. We offer installation, maintenance and repair services for heating and cooling appliances, such as furnaces, air conditioners and hot water tanks. Our HVAC services are available to homes and businesses in Prince George and surrounding areas, going as far as Williams Lake. If your appliance breaks down unexpectedly, we also have an emergency service available 24 hours a day, 7 days a week. Budget Choice Heating & Cooling delivers ongoing support, service and expert advice for all your furnace, air conditioning and hot water needs. Contact us today to receive a free quote. We install appliances that are built for comfort, efficiency and are built to last. 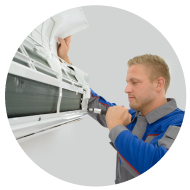 Our expert technicians ensure that your appliances are installed according to the manufacturer’s recommendations, government regulations and industry best practice. 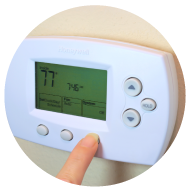 Routine maintenance to your heating and air conditioning systems is the key to keeping them running efficiently throughout the year and can save you money in the future on repair costs. If your appliance is broken, our service technicians can identify the problems and repair the unit. In the event that you do have an unplanned repair, our technicians are available to provide quick, knowledgeable and efficient service to ensure that your systems are back up and running.